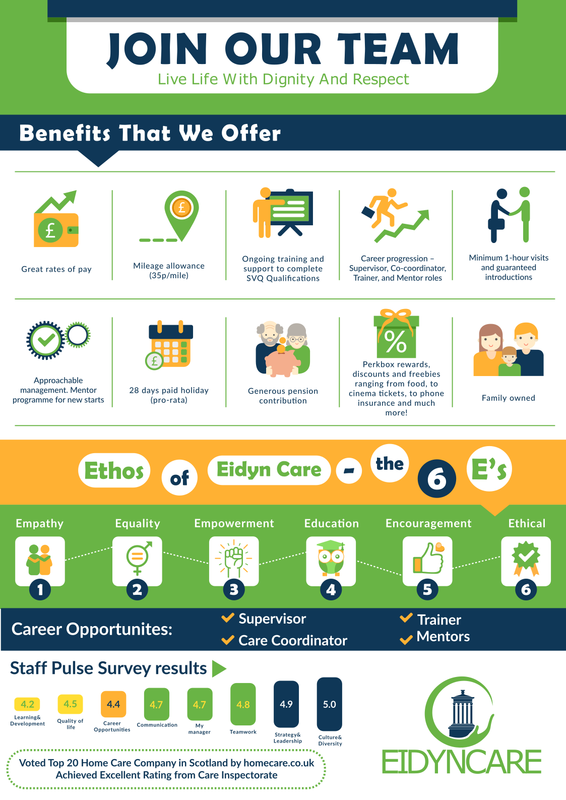 Would you like to work for a compassionate, dedicated company in a rewarding field of work? We care as much about our caregivers as our clients. We know each caregiver personally, and we treat them as individuals. The quality of care we provide would quite simply not be as high as it is without such well-trained, professional and dedicated caregivers working with our clients. We provide full training, and support our caregivers in their work on a daily basis. All new caregivers complete our induction course, and receive regular training and supervisory visits once they have been placed with a client. We are committed equally to our caregivers and our clients and hope you want to come and work with us soon. Level 2 SVQ qualification in Health and Social Care, or willing to work towards it. A full driving licence is an advantage. I am highly impressed with this company. Great employer, really flexible and approachable attitude. Highly recommended. We are a family run business and believe that we should grow our team internally through encouraging each person’s own career development. Champions – we also want our team to become subject matter experts in an area that they feel passionate.